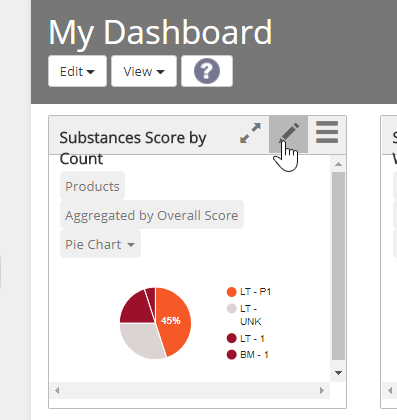 The Portfolio page lets you analyze overviews of substances and hazards across your Products and Materials library. You can configure customized dashboards with multiple data views and filters. The Portfolio page is available in Toxnot Pro and Toxnot Team subscriptions. Only Team subscriptions can save and share dashboards. Your Portfolio Dashboard is organized into Content Views. 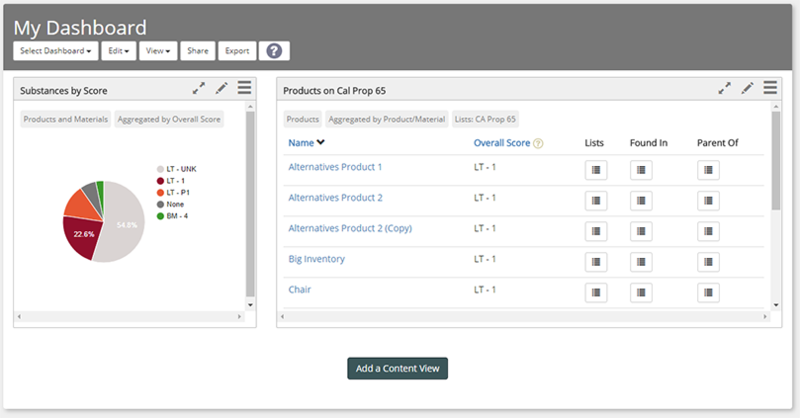 You can arrange your Content Views on the Dashboard in a grid with 3 columns and as many rows as you want. 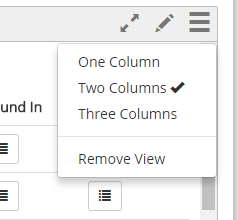 To change the width of a view, click the menu in the upper right of the view’s title and select a width of 1, 2, or 3 columns. To move a view to a different place on the Dashboard’s grid, click and drag on the view’s title. To change the height of a row, mouse over the bottom of the content view and click and drag the mouse. To maximize a view, click on the maximize button in the view’s title. Click the Edit button in the view title to edit the data and filter settings for a view. First, select a View Type. Use “Substances” to gather information about the substances across your library, and use “Products/Materials” to gather information about either Products or Materials across your library. You can set filters that will narrow down the Products/Materials that are used as source data. The list of active Products/Materials for the view show up on the right side under “Products/Materials Selected.” Select multiple filter options to include specific filters, or select “off” to disable the filter. CASRN Filter (Substance Views Only) – Filters to only include a list of specific CASRNs. When you’re done configuring a view, click “Done Editing” and your view will be refreshed. 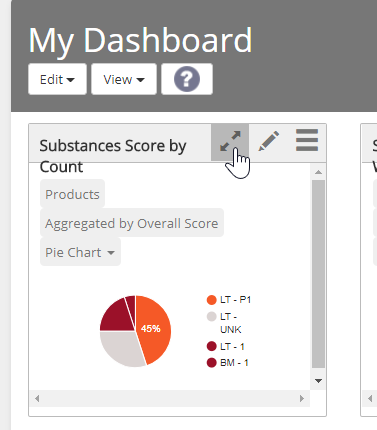 Users with Toxnot Team subscriptions can share dashboards. Click the “Share” button, enter an email address, and Toxnot will send a link to the dashboard via email. To share a dashboard with another person, that person needs an account on the Team as a Viewer role. Viewing a dashboard won’t take up a Team Seat.